LONDON — The kingdom of Saudi Arabia has enjoyed the ultimate protected status from the United States throughout its short history. 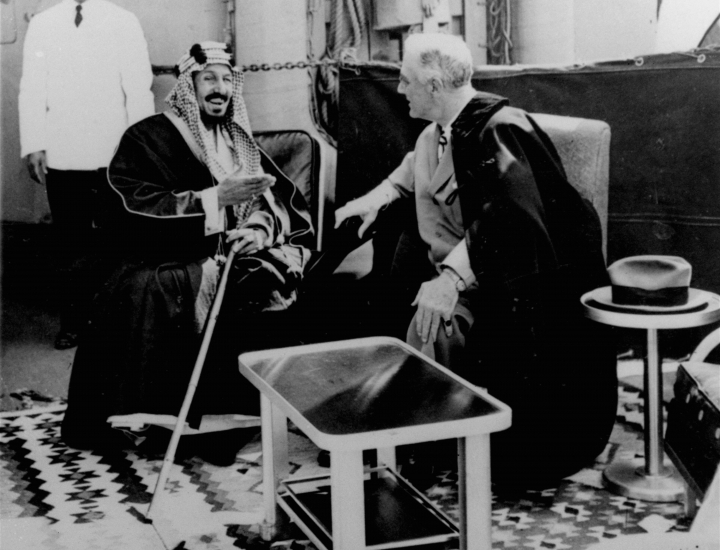 Riyadh has had a special relationship with the U.S., from President Franklin D. Roosevelt meeting Saudi Arabia's first King Abdul Aziz on Valentine's Day in 1945 to the kingdom becoming America's main Mideast ally following the downfall of Iran's shah in 1979. Israel, Jordan and Egypt — sworn enemies who later signed peace deals — as well enjoy such a special status with the U.S. But none are the world's top supplier of crude oil, able to swing the global energy market. Some initial comments from President Donald Trump suggested a strong desire to get to the bottom of the globally followed case as furor gained in intensity, with "severe punishment" threatened for any egregious act. On Monday a new tale began to emerge: Trump floated the idea without publicly presenting any evidence that "rogue killers" were behind the possible assassination. Khashoggi, a contributor to the Washington Post, is well known and thought of in the halls of power — a face respected in many quarters to put to an alleged crime. That alone may have propelled the outrage surrounding his disappearance. From the moment Ayatollah Khomeini's plane circled above Tehran in February 1979, heralding the return from Paris of the exiled cleric who founded the Islamic Republic, new regional lines were drawn in the sand. 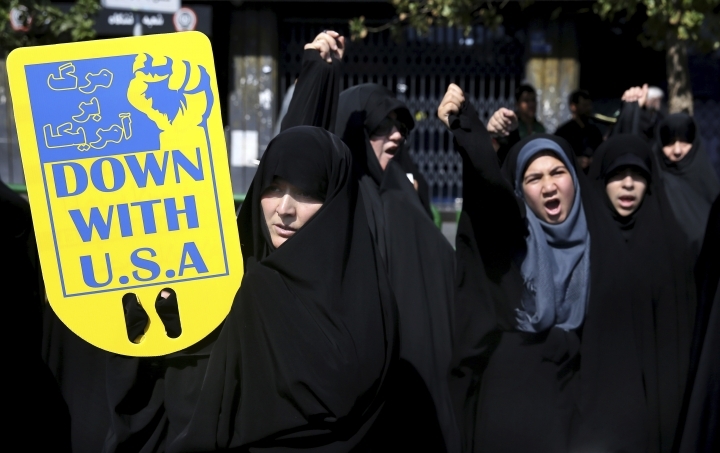 Khomeini cast America as the "Great Satan," the U.S. Embassy hostage crisis and a failed rescue followed, effectively torpedoing President Jimmy Carter's hopes for re-election. Iraq, led by Saddam Hussein with Saudi money funding the effort, then launched a ruinous war with Iran that spanned most of the decade. 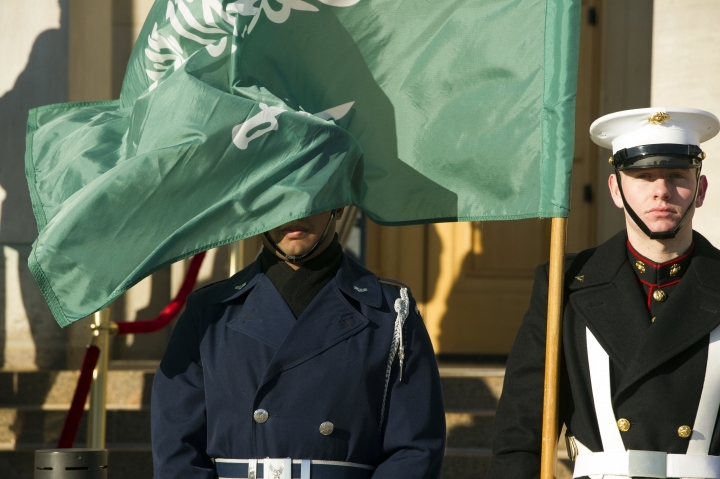 Saudi Arabia was the first among American's Persian Gulf friends in times of trouble. When Saddam invaded Kuwait and the royal family fled to Saudi Arabia until the U.S. invaded and removed Iraqi forces, Saudi Arabia played host to American forces on its bases. This infuriated many in the Arab world given the Saudi monarchy's custodianship of Islam's two holiest sites in Mecca and Medina. Ties were especially close between King Fahd and his successor King Abdullah with President George W. Bush. That's even after Osama bin Laden's al-Qaida launched the Sept. 11 attacks, in part over America's military presence in the kingdom. Saudi support for the 2003 Iraq War was less fulsome publicly, but logistical support remained undimmed. Saudi Arabia, along with Israel, was most opposed to the thaw in relations between Tehran and Washington that led to the nuclear deal. Crown Prince Mohammed bin Salman, now at the center of the Khashoggi crisis, alleged by some to be its guiding bloody hand, spoke loudest, calling Iran's ayatollah a modern-day Hitler. Candidate Trump had railed against one of former President Barack Obama's signature geopolitical successes, and the nuclear accord was duly ripped up by President Trump. 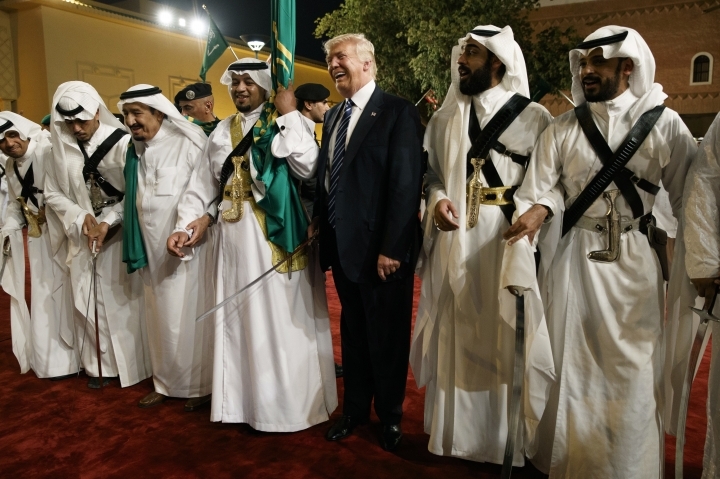 When Saudi state media lashed out as Trump's stance took a briefly harsher tone, a state-linked satellite news channel suggested the kingdom could use its oil production as a weapon. 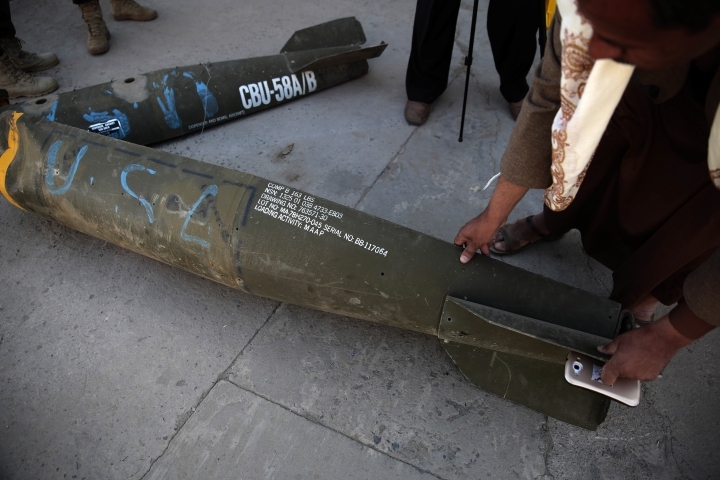 America has long been a major importer of Saudi oil and things haven't always been roses. In 1973, OPEC, with Saudi Arabia a key member, imposed an embargo lasting five months against Washington in and around the 1973 Middle East War as a punishment for Washington's backing of Israel. The world economy, already in recession, reeled. Key stakeholders want to avoid such an oil crisis ever recurring. 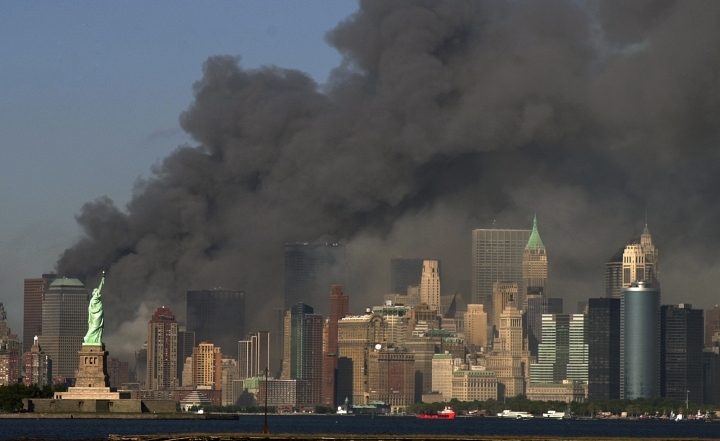 Fifteen of the 19 Sept. 11 hijackers were Saudi citizens. 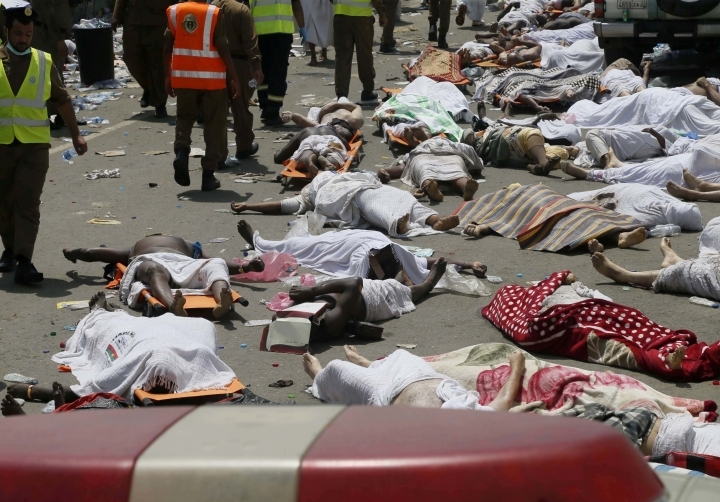 Much has been said of the Bush administration's decision to apportion no blame to the kingdom. 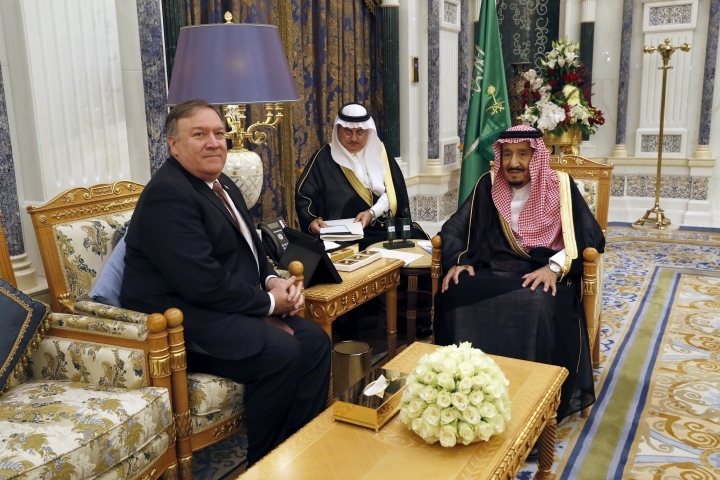 The uncomfortable truth that Wahhabism, the ultraconservative Islamic doctrine Saudi Arabia follows, has been linked to extremists at home and overseas has been carefully navigated by Washington and Riyadh.